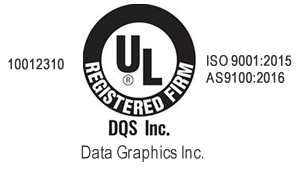 Quality Control | Data Graphics Inc. Quality Control | Data Graphics Inc.
We perform 100% quality-control inspections on every one of your orders, not just random batch checks like other printing companies. It takes a lot more time and effort, but your order accuracy always comes first. We even do it all at absolutely no cost, regardless of your order size. Our products go on everything from life-saving medical technology to military vehicles like Abrams tanks and Apache helicopters. These items have absolutely no room for printing errors. One mistake could be a life-and-death difference when using this equipment, so we never take chances with your orders. Our QA specialists proof every single item produced for printing errors, cutting mistakes, color running and any other common errors that impact industrial printing. 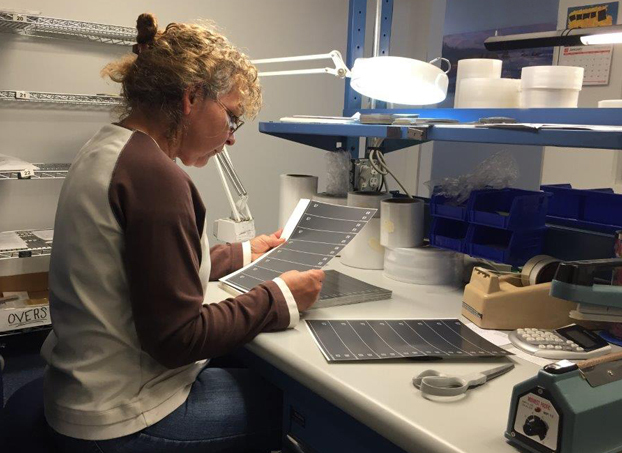 Our quality-control professionals hand-check every single piece in your order at no extra charge! Our quality industrial printing doesn’t just happen at the end with our quality-control inspectors. We perform assessments at each step of the manufacturing process. It begins with checking the initial artwork, and then continues again after the first part is printed. Each step of the manufacturing process requires an inspection by the operator handling the job. Upon job completion, all parts are individually inspected 100%. We’re proud to feature a great work environment that supports many long-term employee relationships. We regularly recognize our quality industrial printers for their many years on our team, so you know you’re getting work from a seasoned professional. Overall, our average employee tenure is more than 10 years. Low employee turnover gives you consistent printing quality from professionals who have perfected their printing skills. More years on the job means fewer printing errors. 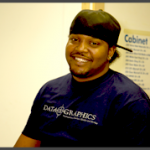 How Does the Data Graphics Inc. Process Support the Best Quality Control?